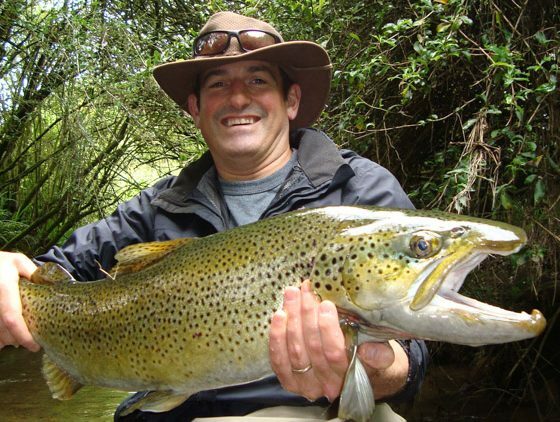 Miles Rushmer Guiding is recognised the world-leader in consistently catching double-figure trophy wild brown trout, offering professional, personalised fly fishing tours throughout the Bay of Plenty region in the North Island of New Zealand. 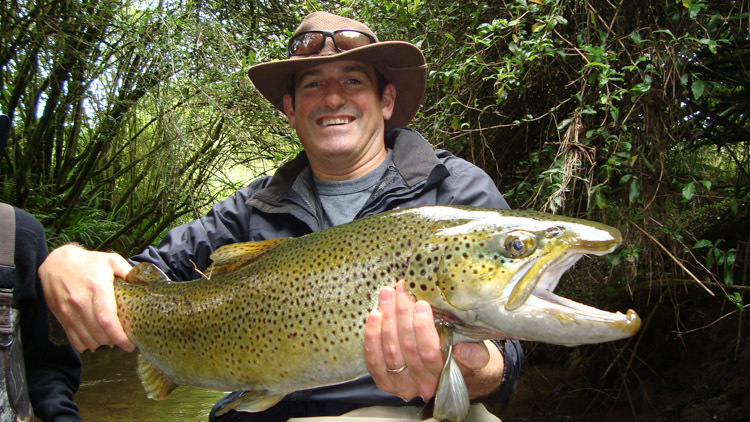 Based in the Bay of Plenty, New Zealand Miles Rushmer has been a full time professional flyfishing guide for more than 20 years. 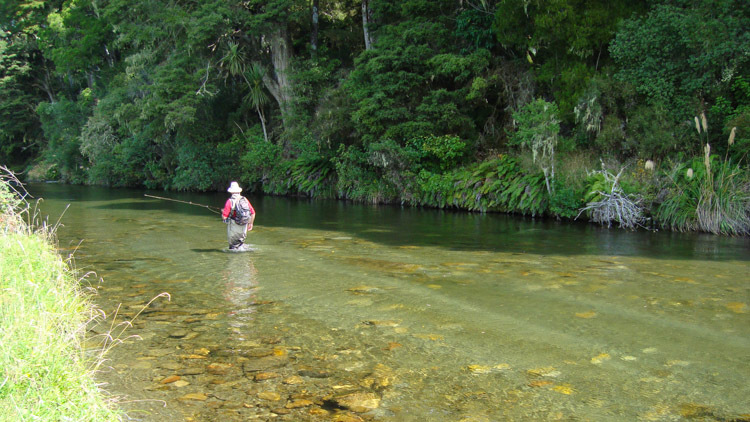 with 35 years fly fishing experience all over the North Island, Miles will cater to all levels of fishing desires. Having stamped his mark as a premiere sight-fished trophy trout fly fishing guide in New Zealand. 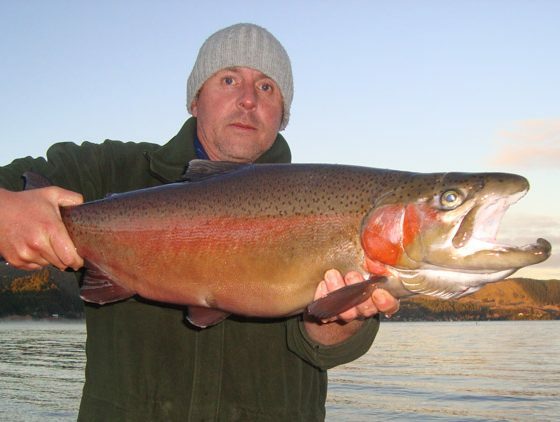 It is the trophy trout fishing that is the big draw! 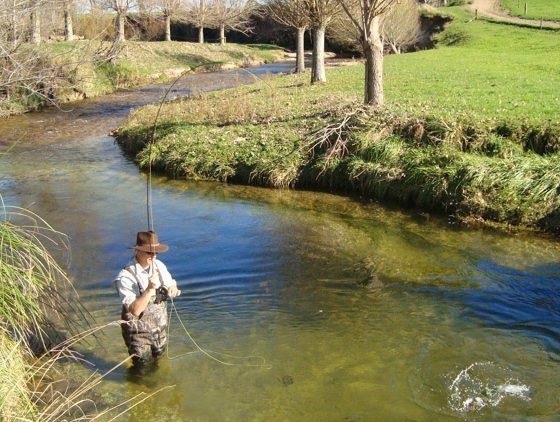 Nowhere else will you be confronted with more trophy trout in front of your eyes on a small clear-water stream, up close and personal, than during a day out with Miles Rushmer Guiding. 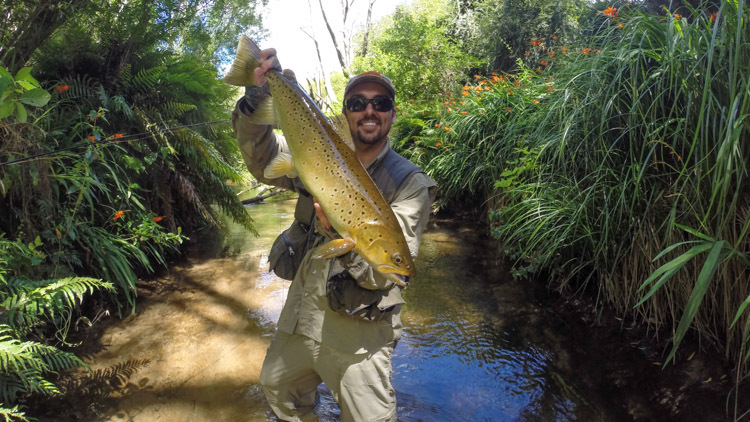 We will customise a morning or afternoon tour based on your experience, level of fitness and the current local weather forecast to the best possible destination for the most memorable experience. You Bring: Your camera. 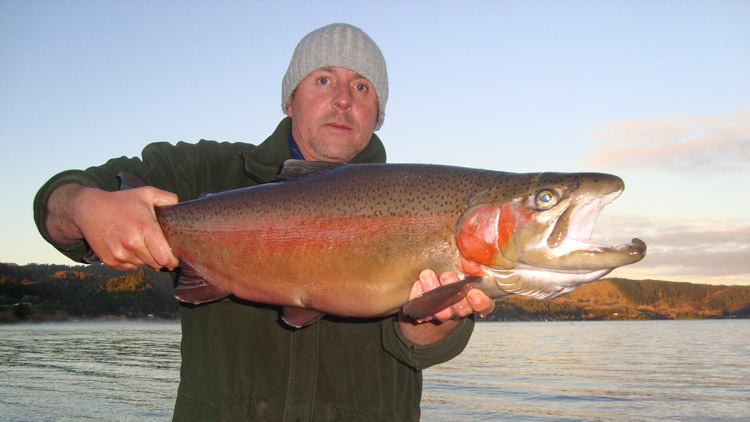 We Provide: Transport, all top quality fishing gear & refreshments. 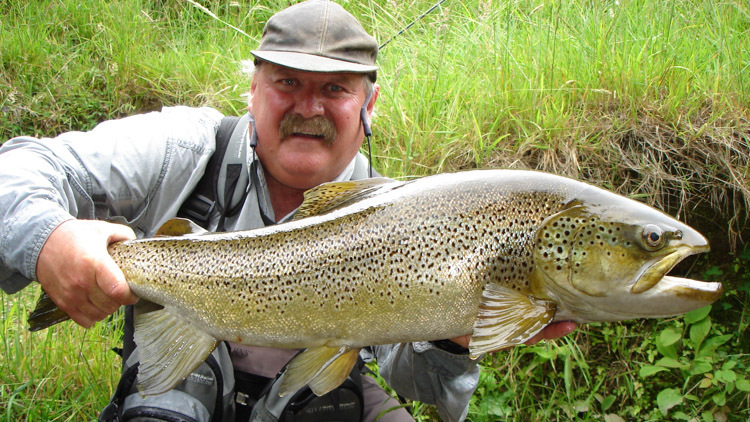 Our full day tours are really the only way to maximise your time and experience with us. 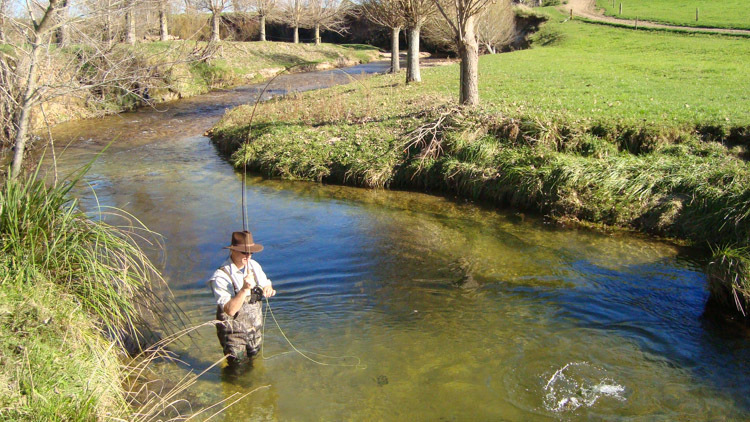 On our full day tours, we can explore the diversity and extent of our abundant local rivers and streams. 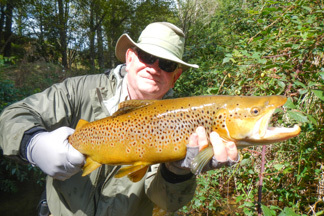 As with our half day tours, we will design our time together to suit your needs, expectations and the current weather. You Bring your camera. 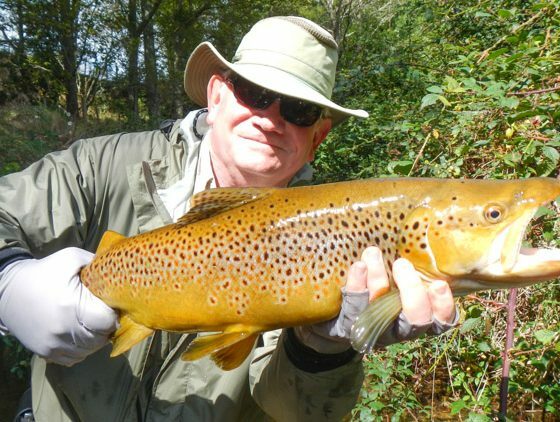 We Provide: Transport, All Rushmer Guiding Gear for a full day, refreshments & lunch. 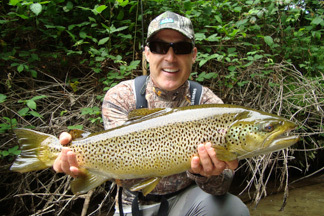 Quite possibly the best trophy trout stream in the World. 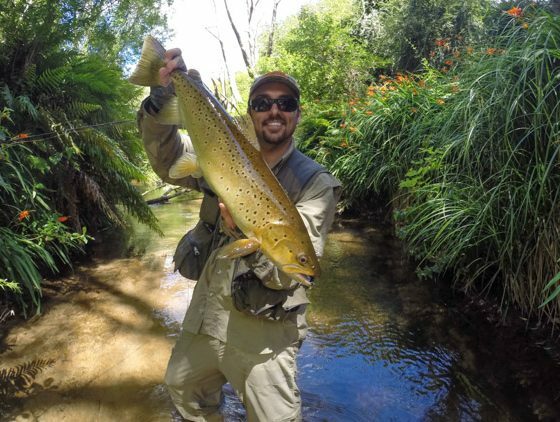 A small spring creek full of whopping wild trophy brown trout. Up close and personal. Options include renting the entire house and property (access fees included). 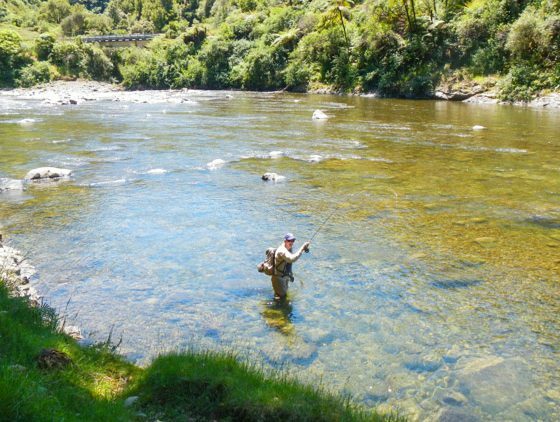 This is a great accommodation option as you get an entire luxurious house (with spa) right on the stream banks with several kilometres of private access included in the rental price of NZ$350/night. 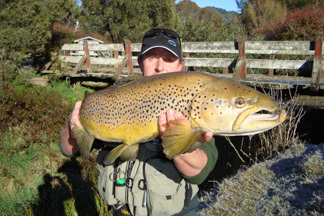 Fully hosted by Miles we can self-cater (cook up a storm), or eat out in the many Rotorua restaurants. 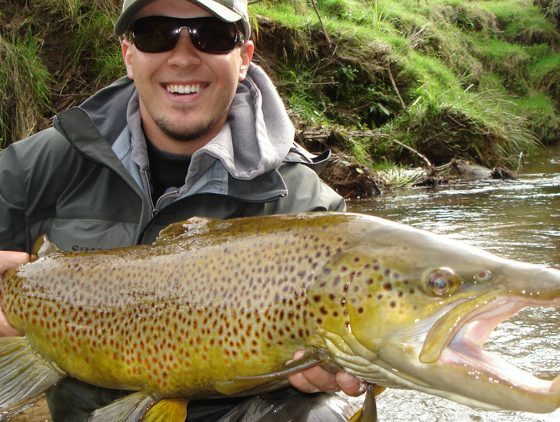 Basing at the Farm House also opens up options for legendary night-fishing for monster browns at the Lake Rotorua stream mouths. 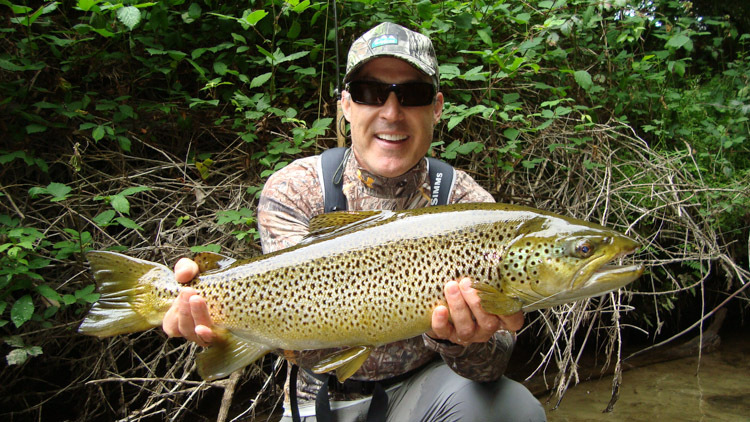 The best way to indulge your passion of fly fishing. 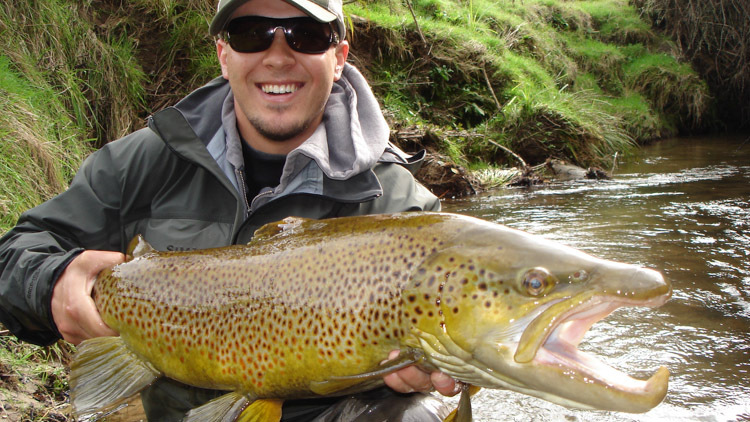 Whether it be backcountry farm-stay, helicopter trips, campouts or simply enjoying the base resort of Mount Maunganui with the family and enjoying a different fishing each day. 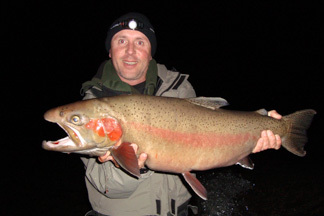 We can customise a dream trip tailored to suit your every desire. 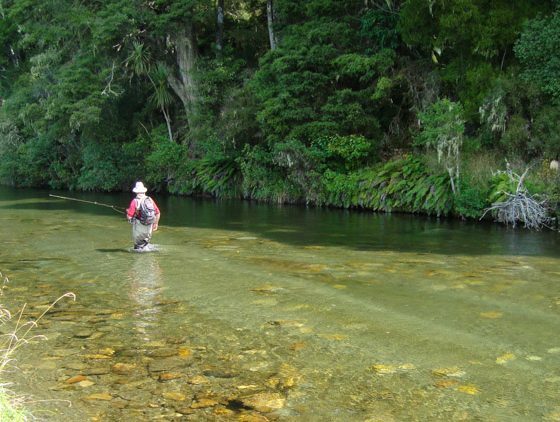 Our 5-8 day stay-away tours are legendary, and you’ll immerse your soul in the solitude of the Bay of Plenty backcountry rivers and streams. 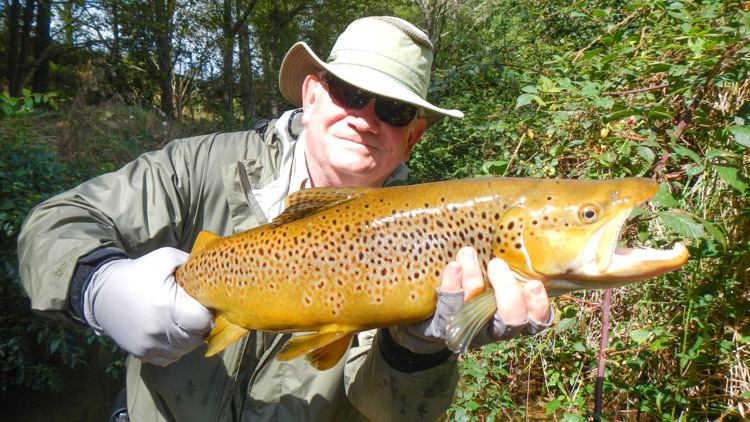 Multi-day trips are also your best insurance to beat inclement weather conditions and ensure some great days on the water whatever the weather. Price: Full House $4000. (April/May/June). 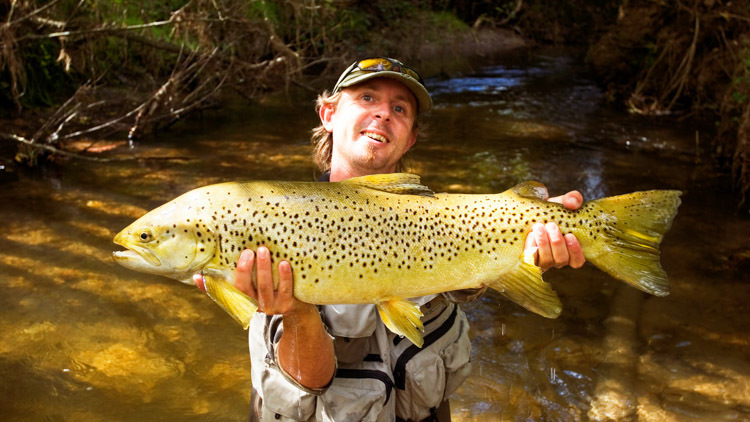 Miles Rushmer Guiding is simply in the business of making fly fishing trophy dreams come true. 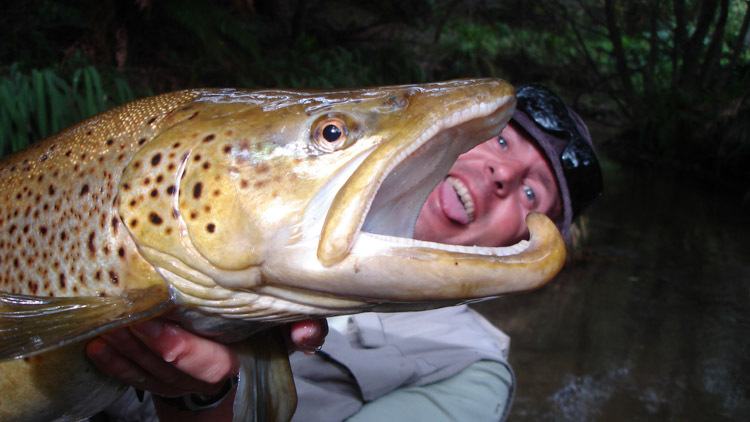 The nature of it is more likened to a wildlife encounter…up-close and personal with the true beasts of NZ’s freshwater domain. 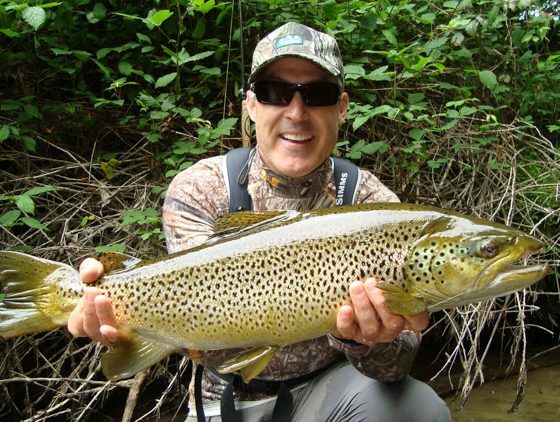 His latest guided venture is “The Full House” – targeting both a trophy 10lb + brown and rainbow in the same day – unique across the planet. 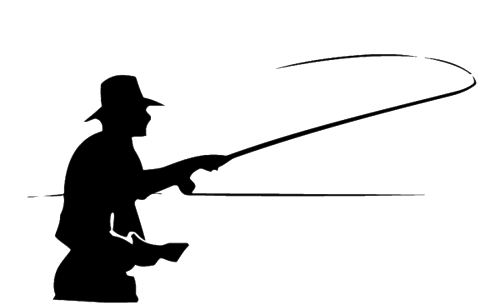 Includes quality saltwater fly rod and reel outfits, all tackle, flies, lunch and refreshments. 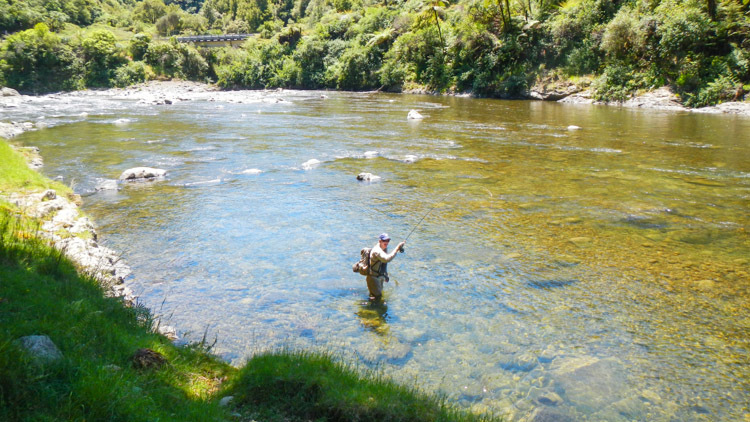 On a sunny summer’s Bay of Plenty day wading the Tauranga Harbour flats you could be forgiven for feeling like you were wading the flats for bonefish in Hawaii (bring sunblock! 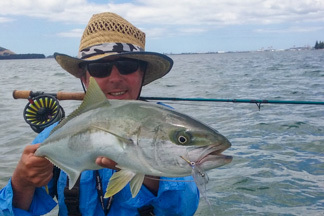 ), except…..you’re casting at yellowtail kingfish, which just happen to be riding on the backs of massive black stingrays. 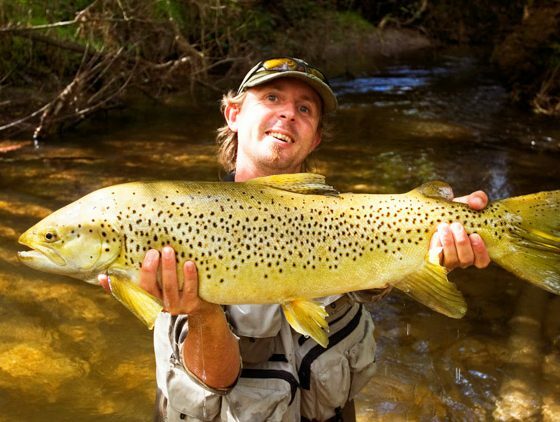 This is fast becoming the holy grail of saltfly. 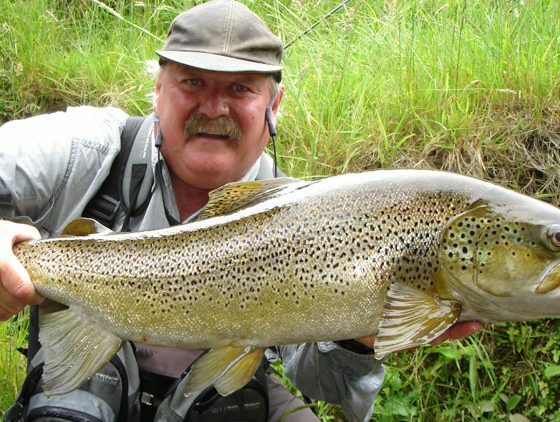 Is there anywhere else in the World that one can indulge this fly fishing dream? I doubt it very much …. 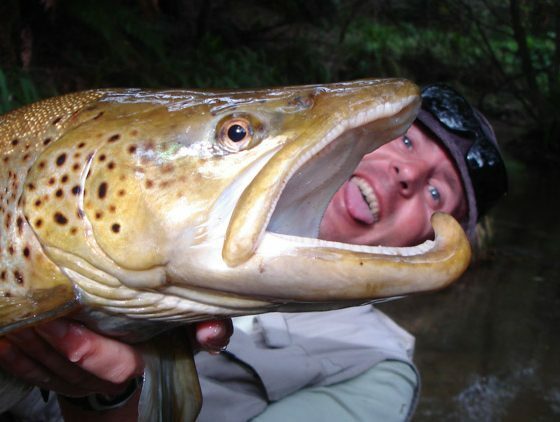 and it all happens right here in the Bay of Plenty!